Coworking spaces are great for productivity and work-life balance. The movement outside of the office and into shared workspaces is one towards collaboration over competition, bringing like-minded people together to work in one environment, to learn from each other, network, stimulate creativity, reduce stress and get stuff done. 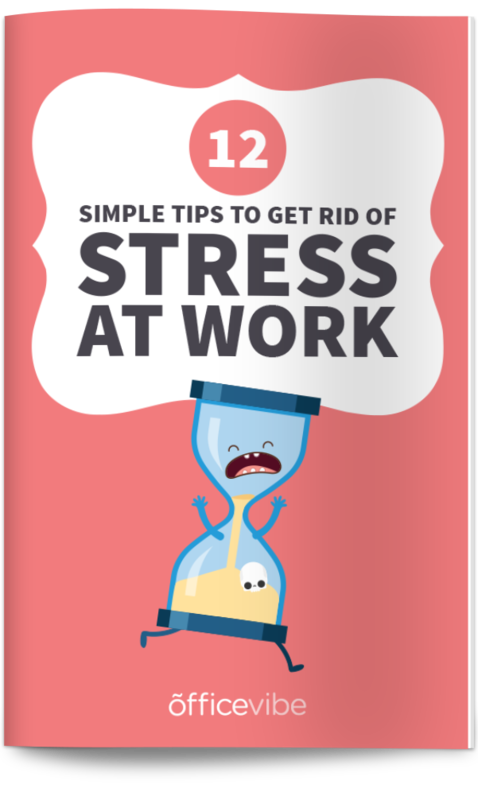 Download these 12 simple tips to get rid of stress at work. Essentially, it’s people working in the same place together that are not part of the same company. It is a movement away from traditional office spaces to a more open and collaborative environment. It has become a global movement towards creating innovative, cost-effective and community-based workplace environments for independent or remote workers. WeWork is a great example of a successful coworking space that epitomizes the mission behind the spaces: “To create a world where people work to make a life, not just a living”. Based in New York, they have 39 locations spread out over 15 countries – proof of the growing coworking trend. They provide shared workplace, community and office services for the all types of workers, from freelancers to startups. They have 30,000 members who all have access to health insurance, social events and workshops, and an internal social network. 40% of the workforce will be freelancers, temps, independent contractors, and solopreneurs by 2020. This is a number that we can’t ignore. More people are choosing a more flexible lifestyle, and we have to be aware of this. Coworking spaces are great for freelancers who can’t get their work done properly at home, or find coffee shops to be too stimulating of an environment. Likewise, companies with remote employees can take advantage of this. If you have an employee that wants to work from home, setting them up in a coworking space can be a better arrangement. Maybe this has something to do with all of the stress that comes from a traditional office setting, or maybe it’s because coworking spaces have more initiatives to promote wellness, but according to a survey, people reported feeling healthier when working in a coworking space. When you’re healthy, you’re naturally going to be more productive, so it’s a win-win. 64% of co-workers are better able to complete tasks on time. This is an amazing statistic and speaks volumes about the power of coworking spaces. If people are more productive when they’re in coworking spaces, then companies should take advantage of this. Any temp or freelancer that a company hires should set them up in a coworking space instead of letting them work from a coffee shop. 68% said they were able to focus better while coworking. Everyone is there to work, and is there for a serious purpose, whereas at home there are distractions (television, couch, bed, fridge), and at coffee shops there are also distractions (interesting conversations to accidentally eavesdrop on, the sound of the machine, the door opening and closing). Another great reason to use a coworking space, is simply for the vibe in the room. It’s like working out at home or going to a gym, you’ll always push yourself harder at the gym because of the other people around you. If you look up and see someone in front of you working hard, you’re likely to get right back to work as well. 92% are satisfied with their coworking space. This is a great statistic, and anyone that runs a coworking space should be really proud of themselves. The people who run coworking spaces do a great job of ingraining a sense of community within everyone that works there. There are also usually many of networking events and community-building initiatives, which makes it that much more satisfying and beneficial. 91% have better interactions with others after working. In coworking spaces, people who might have never met each other otherwise are given the opportunity to interact with one another and learn from each other. 60% are more relaxed at home since coworking. Work-life balance is an important topic for us here at Officevibe, and something we talk about a lot. The amount of stress that the typical worker brings home can have damaging effects on your relationships and your health. Anything to help achieve a better work-life balance is important, and coworking spaces give the flexibility and freedom that entrepreneurs need. Coworking spaces are fit for the millennial employee. Opening up the office space and expanding beyond it are one of many trends belonging to younger workers. That being said, however, coworking spaces do not discriminate based on age. This is probably again some placebo effect from the atmosphere in coworking spaces, but everyone that’s there is there to work hard, so it gives you a sense of drive that lets you work harder. This is an interesting one, and my theory on this is that an entrepreneur or freelancer that uses a coworking space instead of something like a coffee shop will end up working harder, while taking the process more seriously. 11. But…Are they open late enough? The only caveat to coworking spaces at the moment is that freelancers often like to work different hours than regular workers, and sometimes that means late into the night. In fact, that’s when many contract workers get most of their work done. It’s not a make it or break it deal, but it is something for freelancers to think abotu when choosing workplace location. We’d love some recommendations, and to hear your thoughts on shared workplaces.